AfricaRice will open its new genebank later this year, in Mbe, Cote d’Ivoire. But first, all its rice needs to be sent back to the country after several years away. The Crop Trust’s Neil Palmer traveled to the country to welcome the seeds back home. It’s getting late and Marie-Noelle Ndjiondjop is getting twitchy. 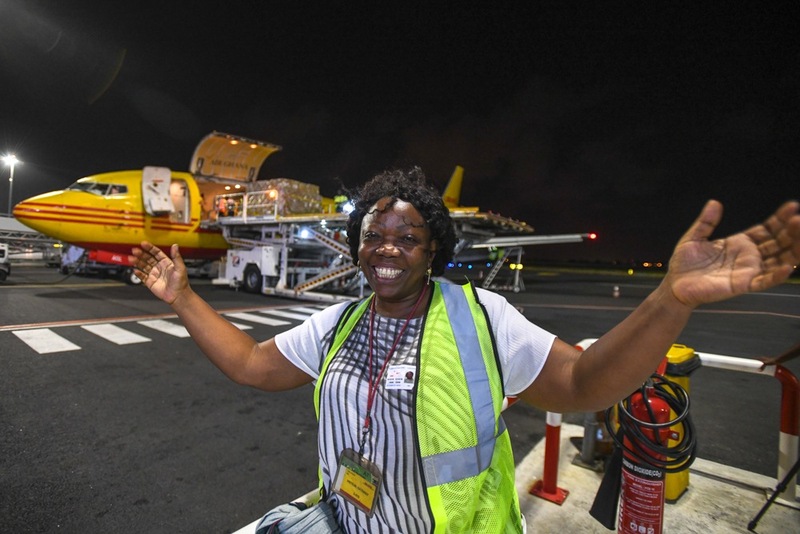 Kitted out in hardhats and fluorescent jackets, we’re standing on the tarmac in the balmy darkness at Abidjan International Airport, awaiting a cargo plane from Lagos. It’s delayed. Marie-Noelle re-assesses onward logistics. 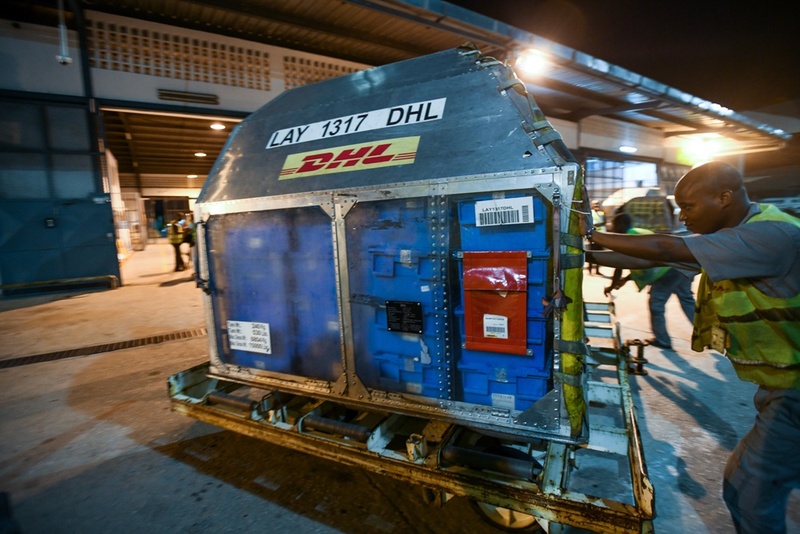 When the consignment arrives, it will take at least another five hours by road, at night, to get to its final destination. Until now she’s been full of expectant excitement, but she flashes me a nervous glance. “This is a post-conflict country. Things can happen.” She checks her phone again. And the cargo? 1.4 tonnes of rice. Not just any old rice. It’s 19,000 different kinds of rice, representing thousands of years of agricultural history. It’s rice that needs to be kept cold and dry, otherwise it will spoil. Until all those different kinds of rice are safely in a freezer, they’re fish out of water. Every minute counts. Also, it’s African rice. Many people associate rice with Asia – those enchanting, photogenic hillside terraces in China or the Philippines, perhaps. But rice was tamed from the wild in Asia in around 8000 BC, and independently in Africa, around 2-3,000 years ago. This gave rise to two distinct cultivated species. Even untrained eyes and palates can detect some of the differences: African rice plants tend to be taller than Asian ones, and their often pear-shaped grains have a nuttier flavor. While higher-yielding Asian rice dominates in Africa, African rice, originating in what is now Mali, evolved to tolerate tough, dry conditions. It also brushes off attacks from various pests and diseases, and can hold its own in brackish water. That makes it especially useful for scientists trying to breed rice for areas affected by climate change. 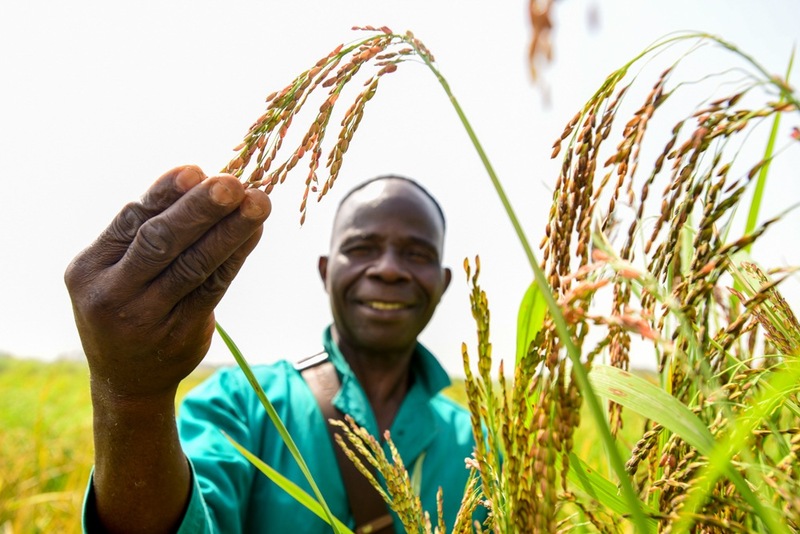 Despite its inherent strengths, African rice was a largely untapped resource for a long time. But in the 1990s, scientists found ways to successfully crossbreed it with Asian types. Until then, crossing such distant gene pools had produced rice plants that failed to yield any edible grains. By contrast, the breakthrough NERICA (New Rice for Africa) varieties were fertile, quick to mature, and some were more productive than either their Asian or African parents. They are now grown on more than 1.4 million hectares on the continent. The African parents and ancestors of the NERICA varieties are somewhere in the sky between Lagos and Abidjan right now – accompanied by the entire extended family of African rice, including ancient farmed types and a slew of wild, untamed cousins. 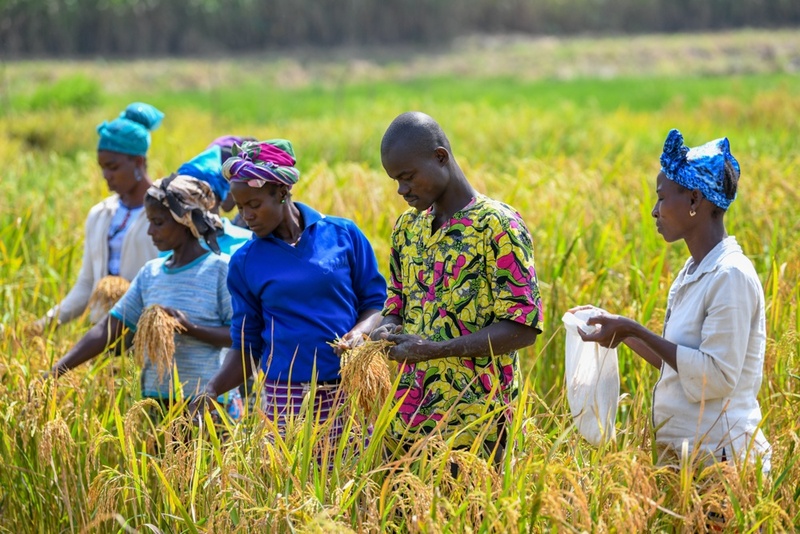 It’s part of a 1,000 km journey back to their institutional home at the Africa Rice Center (known as AfricaRice) in Mbe, central Côte d’Ivoire. Before long, the plane touches down and the freight company makes light work of moving the 54 boxes into the depot, weighing, scanning, and signing them off. If you work in crop conservation, these sky-blue boxes are a familiar sight. 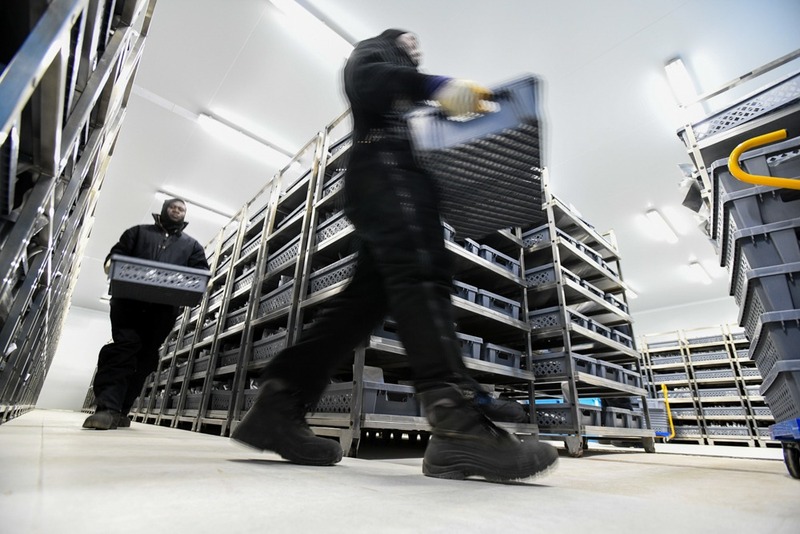 They’re regularly used for seed shipments, including those to the Svalbard Global Seed Vault in Norway. Marie-Noelle, AfricaRice’s genebank manager, is very happy to see them. With the boxes safely on the ground, we return to the final logistical challenge: the potentially risky night journey to Mbe. The freight company steps in, offering overnight use of a walk-in refrigerator safely behind the airport’s security cordon. At 10pm, with the unit running and the rice locked inside, we call it a day. Marie-Noelle is full of smiles. At dawn, as we prepare to accompany the seeds on the home straight, Marie-Noelle gives me the backstory I’ve been waiting for: why all these different kinds of African rice need to make this journey at all. She takes me back to September 2002, when she worked in biotechnology for AfricaRice, in Mbe. It all happened very quickly, she says. She flew to China to attend a conference and when she arrived, turned on the TV: Civil war had broken out in the West African country. She’d only just come from there; everything had seemed fine. The events of that day precipitated a long period of instability both for the country, and for AfricaRice. Her return was, however, short-lived. Three weeks later, in November 2004, fighting broke out in the nearby city of Bouaké, a rebel stronghold. Tragically, one of her colleagues, the fondly remembered US agronomist Bob Carsky, was killed as the city was evacuated. Soon after, the center relocated to Cotonou, Benin, where it was hosted at a regional office of the International Institute of Tropical Agriculture (IITA). It would be AfricaRice’s home for the next decade. A phone call interrupts Marie-Noelle’s story: The seeds are moving. 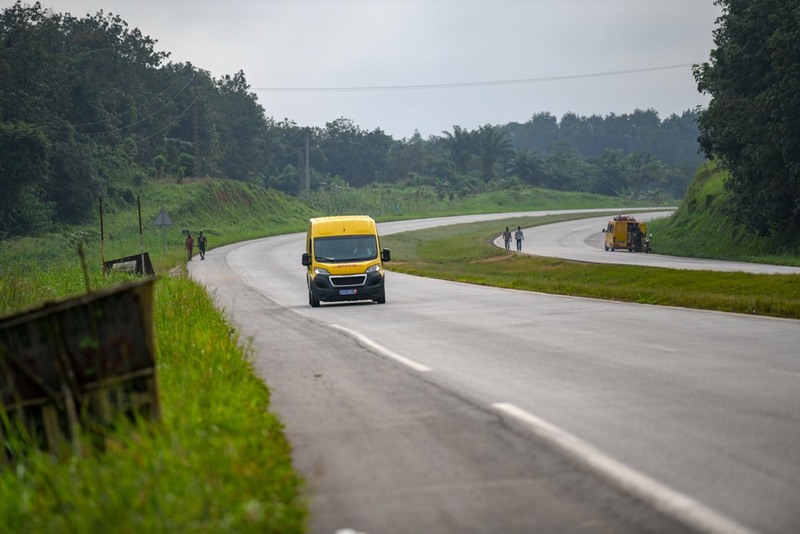 We jump into the car, wriggle through rush hour traffic, and catch up with the courier van as it leaves Abidjan and crosses into the misty Lagunes District. 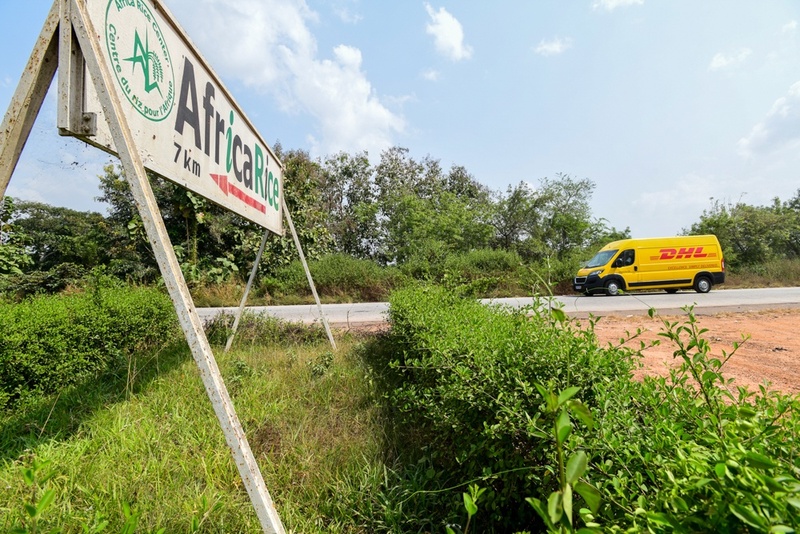 As we follow the van up-country, she resumes: Within a few months of AfricaRice relocating to Cotonou, the rice collection was sent there too. But it was an imperfect solution. Seed storage was in a temporary building, in a low-lying area. During one rainy season, flood water reached the front door. 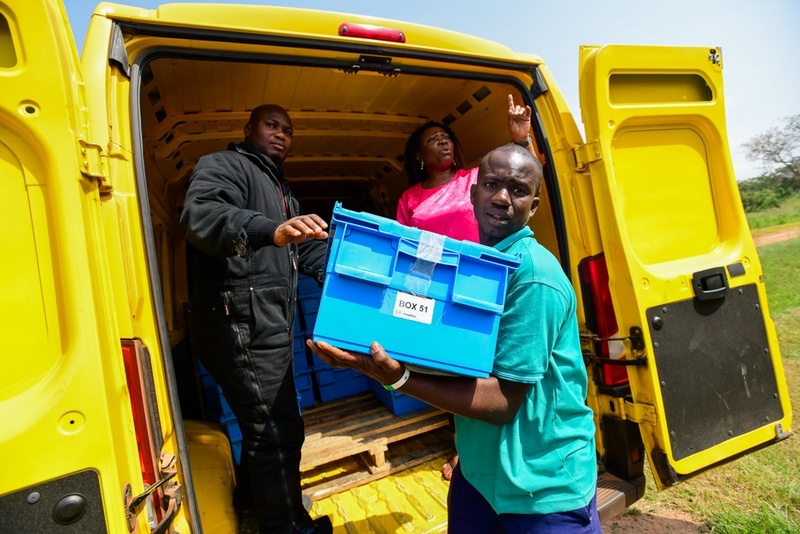 In spite of these and other challenges, the work of AfricaRice and its genebank continued. But as a safety measure, the collection was split in two: an “active” collection containing samples most useful to crop breeders was maintained in Cotonou, while a “base” collection containing the full range of African rice was sent to IITA’s headquarters in neighboring Nigeria for long-term storage. 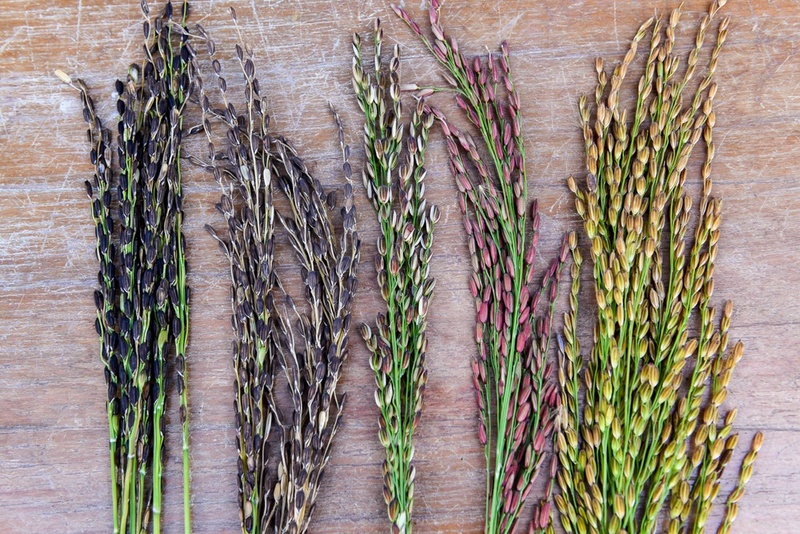 The base collection is the biggie – an organic encyclopedia of African rice history. It needs to be stored at minus 18 degrees Celsius – in a big freezer, basically – and it’s where the seeds go for a long sleep. They can be awoken years or even decades later and grown to replenish stocks in the active collection. While some duplicate seeds from the AfricaRice base collection are conserved elsewhere, around one-third is not yet backed up. It means the cargo in the van ahead is one of a kind. No wonder Marie-Noelle – who took over as head of the AfricaRice genebank in 2013 – was twitchy yesterday. 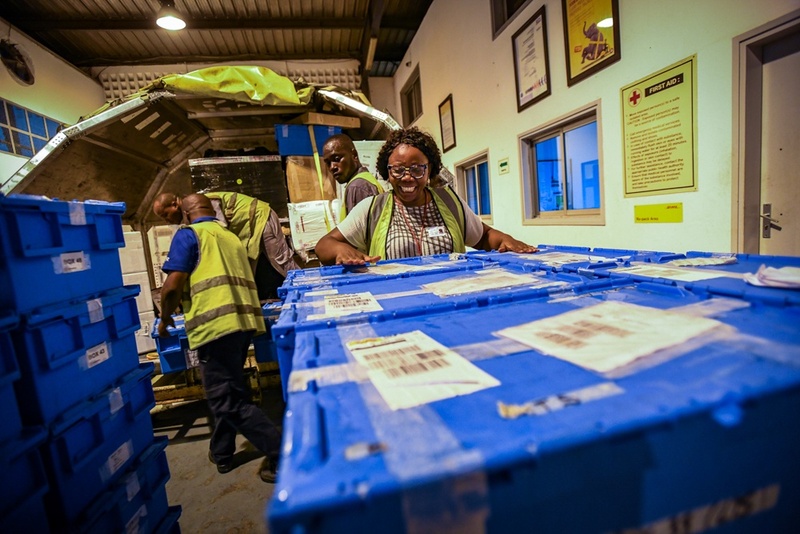 By 2015, Côte d’Ivoire had stabilized and AfricaRice began moving its operations and research back to the country, with the support of the Ivorian government. Returning its rice collection to Mbe is, therefore, a defining moment in the history of the center. As we follow the seed van north along the smooth highway to the capital Yamoussoukro, we pass a long convoy of armored vehicles: French troops bound for Mali, Marie-Noelle tells me. It’s Côte d’Ivoire’s northern neighbor that has the security problems now. As the mist gives way to blue skies and punishing midday heat, I find myself worrying about the rice samples in the van. Are they getting too warm? “We need to move; the seeds are suffering,” Marie-Noelle reminds us, as we pause at a checkpoint. As the journey continues, she breaks into song. Quite a long song. 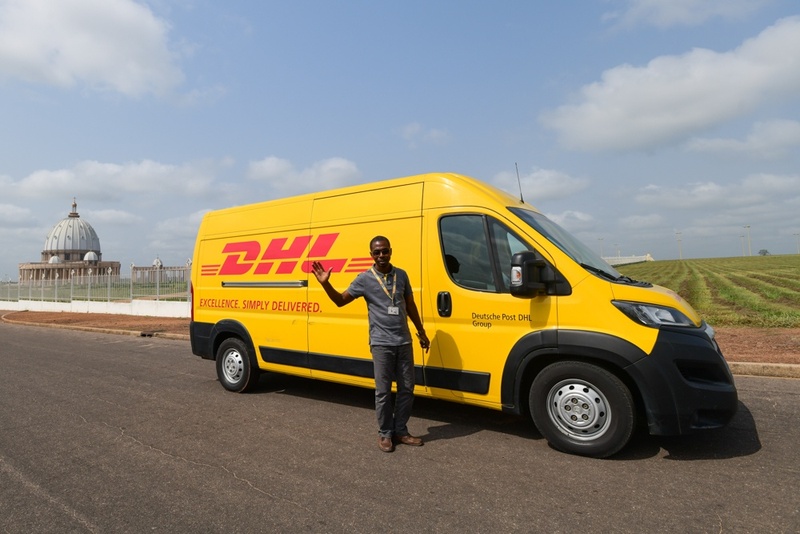 I take it as a good sign, because transporting a crop collection across hot, humid West Africa must be one of the most stressful moments in a genebank manager’s career. Fortunately, it’s not the first time she’s done it. The active collection was moved in February 2018 – a complicated overland journey involving a convoy of refrigerated trucks, multiple border crossings, some bad roads, a deluge of paperwork, and the potential for delays, robbery and carjacking. That’s why the larger and more vulnerable base collection came by air from Lagos last night. Flying the seeds into the country shaved days off the transit time and saved a whole lot of bother. Fish out of water, remember. But safely relocating the rice wasn’t the only challenge. Over the years, the former genebank building in Mbe – more or less abandoned in 2002 – had become structurally unsound. 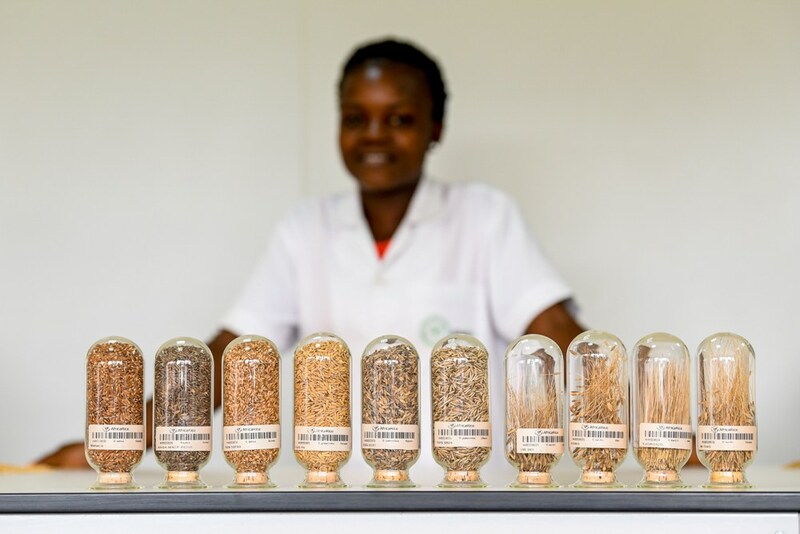 AfricaRice raised US$2 million – including US$890,000 via the Crop Trust from CGIAR – to build a modern genebank at a new site on its Mbe campus. That’s where the seeds in the van in front are destined. They’re the final samples that will complete the genebank’s rice collection at its new facility. As we roll through Bouaké, Marie-Noelle quips that the last time she lived here it was a ghost town. Nowadays it has all the bustle of a city on the rise. Eventually we pull off the highway and down a dusty track to the research station. The genebank team unloads all 1.4 tonnes in minutes, moving the seeds swiftly from truck to cold store. Unboxing some of the samples – swaddled in bubble wrap – the foil packets come out cold to the touch. Marie-Noelle is delighted. The new genebank is buzzing with activity. 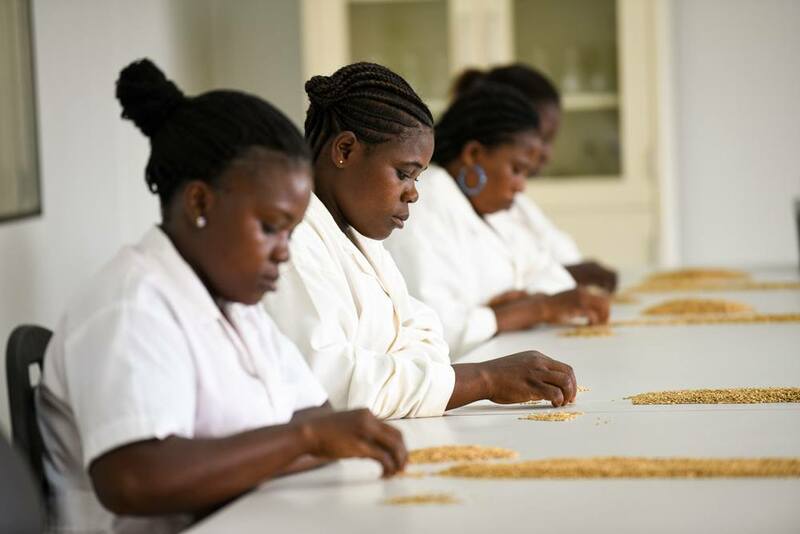 There are sorters in lab coats selecting freshly harvested seed for drying and storage. Technicians log samples in a database and barcode seed packets. Another team, in jumpsuits and balaclavas, are in and out of one of the cold rooms, taking seed packets to the shelves. It feels like the precision operation it needs to be: crop breeders from all over the world request these seeds, and the center aims to respond promptly. It also has high operational standards to meet, being one of the international genebanks of the CGIAR Genebank Platform. 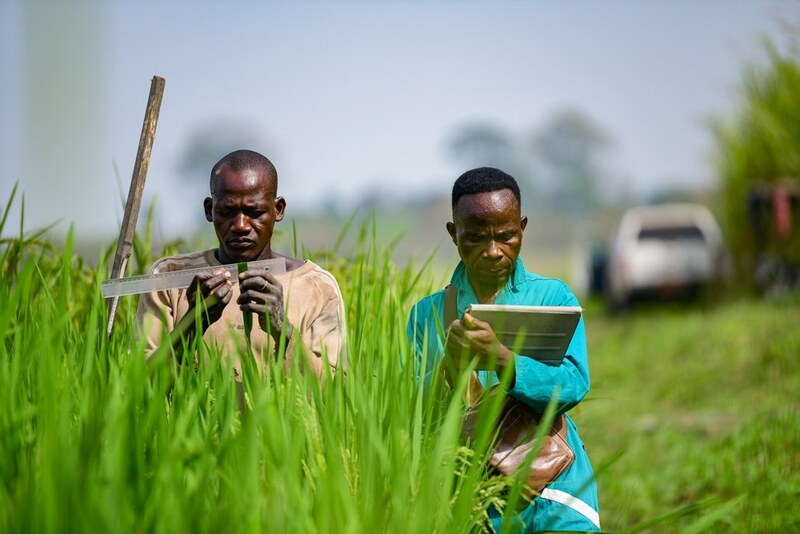 A short distance from the genebank, we visit numerous plots of African rice enjoying the gentle breeze of the early Harmattan – the warm, seasonal wind that blows down from the Sahel. These are being grown to provide fresh seed for the genebank, and for scientists to study the plants. Marie-Noelle collects samples of different panicles to show me how diverse they are: some of the grains have red husks, others black, for example. Some panicles have flowers (known as spikelets) with barb-like hairs; botanists believe these are a genetic relic from the wild ancestors of rice – the barbs would attach themselves to passing animals, aiding seed dispersal. Accompanied by the dash of agama lizards, I’m also shown the former genebank on the perimeter of the campus. 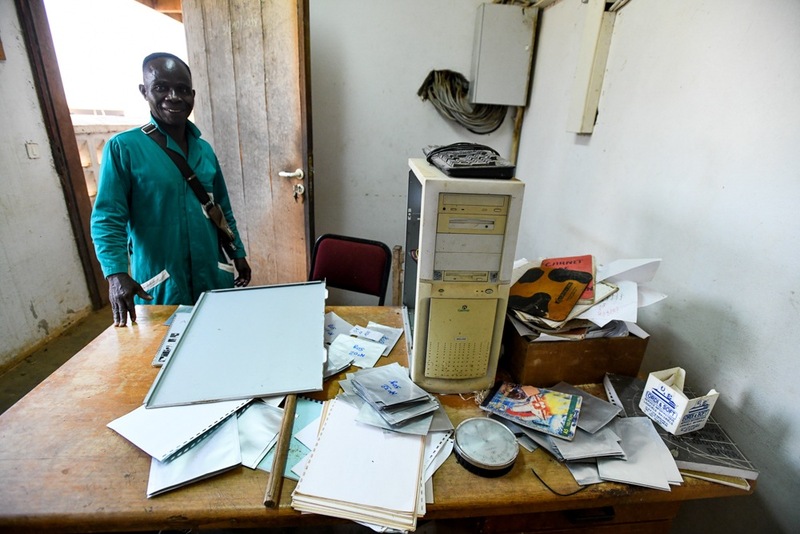 Some of the offices are as they were left when civil war broke out – toppled chairs, a scatter of faded publications, obsolete floppy discs, and the base units of old computers, their side panels torn off by looters. Who knows what fate would have befallen the rice collection, if it hadn’t been moved in time. Although relatively recent, those days feel like a world away now, Marie-Noelle tells me; part of a bleak chapter in the country’s history. As I soak up the spectacle of a big red sun setting over the rice fields, I remind myself that all this is about much more than just a journey of seeds back to their institutional home. 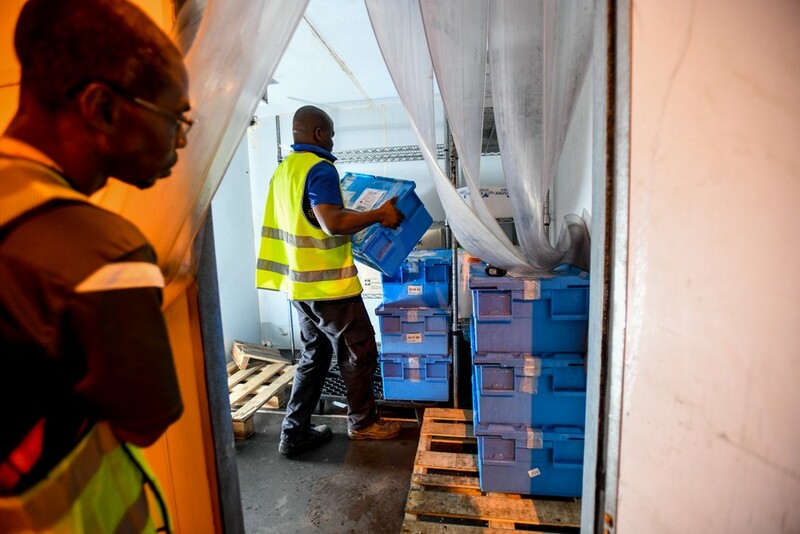 Hopefully, the new genebank, and the move of AfricaRice back to Côte d’Ivoire, symbolize a change in fortune for a country emerging from the protracted darkness of civil war. It’s also testament to a center that has proven to be just as resilient as some of the rice it conserves. 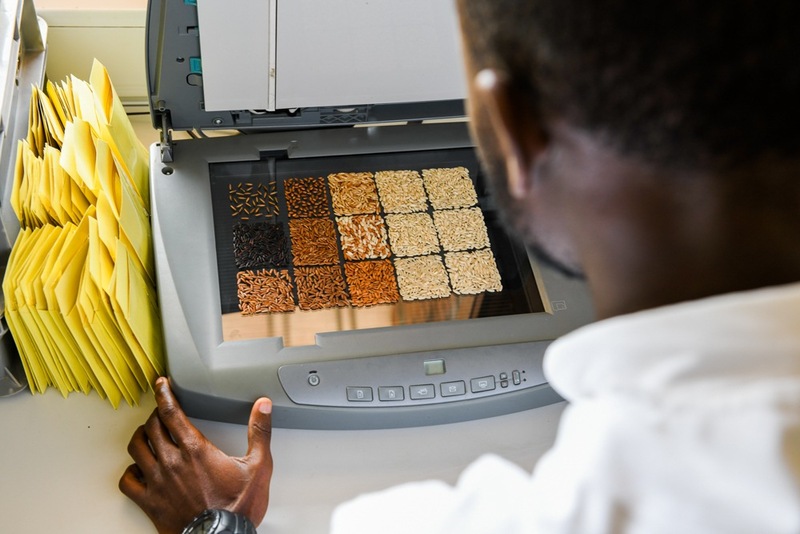 The Africa Rice Center expects to formally open the new genebank in June 2019. 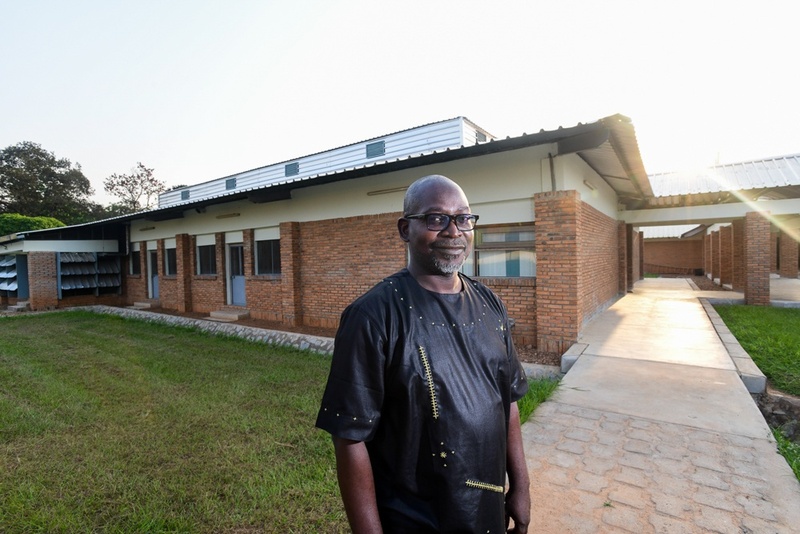 Construction was supported by US$890,000 from the CGIAR Research Program for Managing and Sustaining Crop Collections (2012-2017), led by the Crop Trust. The remaining funding was provided by the African Development Bank. 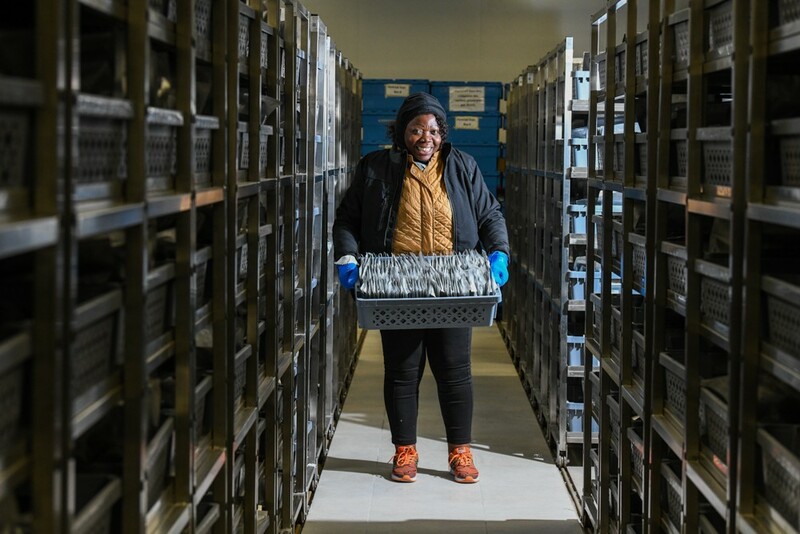 The Crop Trust-led CGIAR Genebank Platform continues to support the work of AfricaRice, and would like to thank all funders who support the CGIAR Genebank Platform through their contributions to the CGIAR Trust Fund. The following governments have directly supported the CGIAR Genebank Platform: Switzerland, The Netherlands and the United Kingdom. The following governments have provided support for Crop Trust’s contribution to the CGIAR Genebank Platform: Germany, Switzerland, Finland and the European Union. 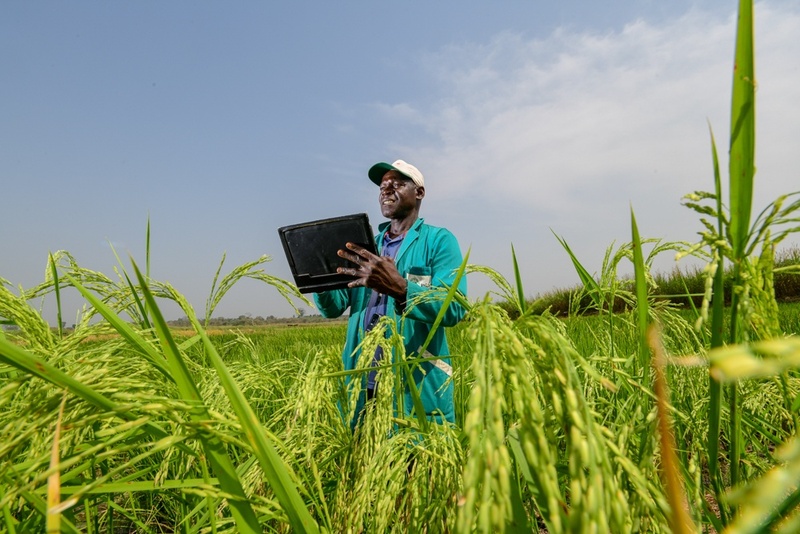 AfricaRice has 21,300 accessions listed on Genesys, the global portal to information about plant genetic resources for food and agriculture.